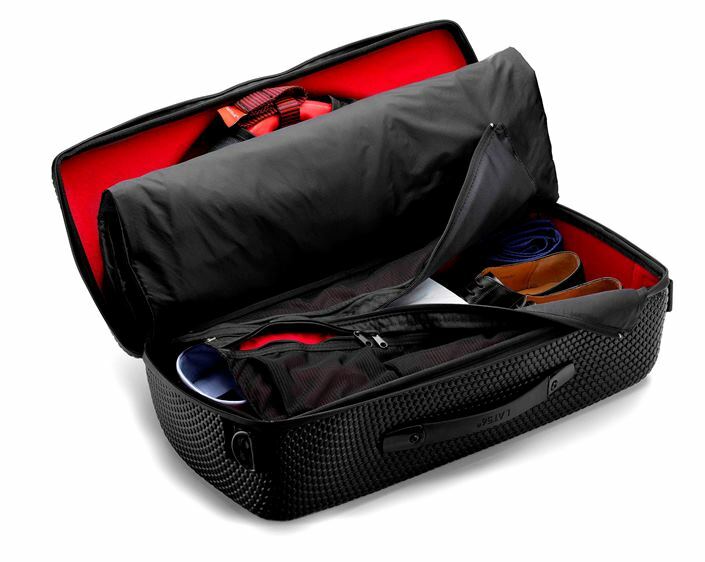 The new RedEye garment bag from LAT 56 eliminates wrinkles, saves space, is easy to carry on, and just works great. It’s not too often that luggage breakthroughs come along. I’ve been traveling long enough to remember life before roll-aboard bags and in-line skate wheels. That was a game changer, followed by the upgrade to the four wheel spinner bag, which can be pushed or walked side by side as easily as pulled. Semi-hard sided polycarbonate was another huge improvement, keeping luggage ultra-light and easy to move while better protecting contents and clothes from wrinkling. But because I’ve written on luggage over the years, I get a lot of press releases touting “innovations” and “breakthroughs,” mostly non-events like new colors or ergonomic handles.